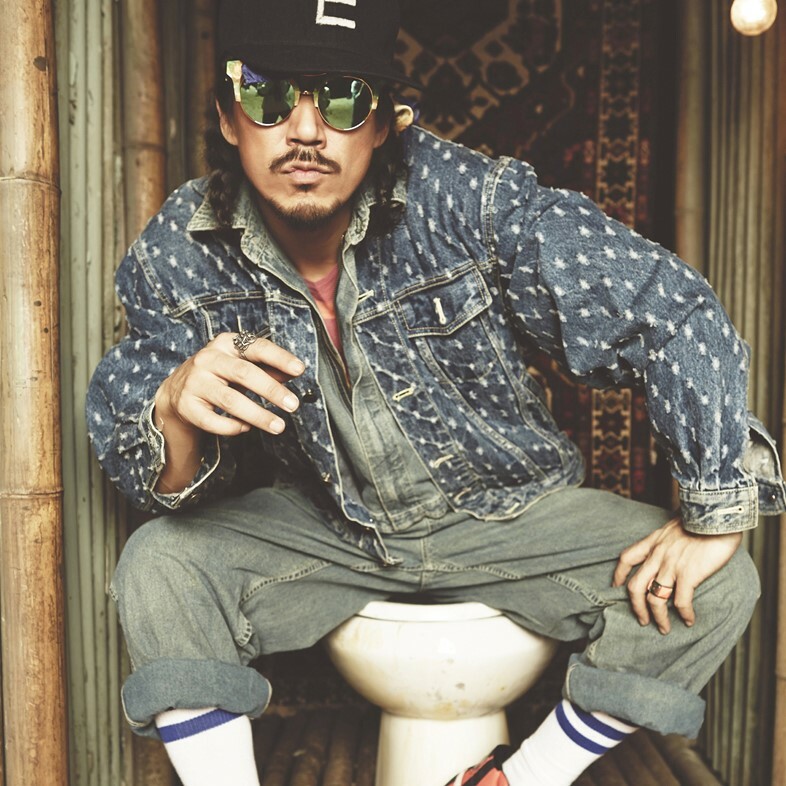 If you were to Google the 'godfather of Korean hip hop' one name would pop up – Tiger JK (Seo Jungkwon). Born in Seoul, raised partially in the US, his duo Drunken Tiger (with DJ Shine) dominated the fledgling Korean hip hop scene in the late 90s. They changed its dimensions, which had revolved around pop-centric, choreographed acts like Seo Taji and the Boys, by throwing down old school vibes, chopped up samples and JK's own NSFW outlook on life. Hugely instrumental in solidifying the scene, he brought up other underground rappers as he went, who commonly became known as the Movement crew. Since those early, controversial days much has changed; alongside chart success, awards, wedding Korea's acclaimed female rapper Tasha (Yoon Mi-rae), and becoming a parent, Tiger JK formed MFBTY (My Fans Are Better Than Yours) in 2013 with Tasha and long-time collaborator and rapper Bizzy. He then split with the seminal label he'd founded, Jungle Entertainment. For a moment it seemed the 'godfather' was now more out than in, even by hip hop standards. The genre was fast becoming a seriously commercial venture through TV talent shows and MCs teaming up with idols to ensure their music gained mainstream traction, and JK, and indeed MFBTY, were merely standing on the fringe. You've called your latest album Wondaland a “redefining of K-Pop” although you've never been associated with the genre. Why move away from the hip hop that you're renowned for? Tiger JK: Hip hop, though it's a cliché, was a way of life for us but, from my perspective, the definition of hip hop has changed these days. I'm not here to judge but it's something else I don't know anymore. We tried to make our interpretation of pop music because we wanted to be fun in a different way. That's one reason. The other was we were going through an especially a dark time. Was that following your father's passing in early 2014? Tiger JK: It was tough. I wanted to quit music. I woke up in the morning drinking three bottles of soju. When it comes to music I'm influenced by my surroundings and what's happening to me and all the songs I was recording were too dark, to where Tasha was like 'I can't listen to this anymore'. It still haunts me that when the doctor told me he only had seven months, I didn't tell him. I thought I could somehow make everything disappear and I realised how stupid I was. He acted like he was being fooled by me but he knew all about it. He'd kept a journal about his life and left us all a note, he said, 'you don't have to look at things so negatively, life is loving'. Wondaland is stuffed with dichotomies; songs begin as party tunes before ducking into attacks. Your comment on two of Hollywood's most famous but racist portrayals of Asian characters (“Reinvention of the Charlie Chan / Holly Gangster parliament / Mickey Rooney politics”) on 'Hollywho (ft. Dok2)' appears at the end like a furious curveball. Tiger JK: All our party songs have a messages, we like to lead people but not mislead people. 'Hollywho' is about not knocking communities because it's wrong but on the Asian community, it's ok, its still going on. In Hollywood making Asians comic relief has never stopped. Like the movie 'The Interview'; it's a comedy but people don't understand the social or geopolitical ramifications. Hollywood's like, “it's freedom of expression” but sometimes they hide under that. It's OK to stereotype Asians. We're all “dog-eaters”, don't you know. I suppose sometimes you have to be hyperbolic to make a point. Let's discuss 'Rebel Music', which takes on journalism, South Korean music censorship and politics, and could be seen as the Korean bookend to the American 'Hollywho'. Tasha: You wanna be brave about it but don't want to be a target yourself, though some us know you can't believe everything you see on TV or read in the paper. Nowadays everyone who has a computer thinks they're a journalist and things get blurred. There's been times when we'll say a simple word or video scene that shouldn't be censored but is because it's coming from a hip hop artist so it must be negative. But you'll see an idol group with the same kind of thing and it's rated E for everyone. Tasha: I can totally understand that you might think that. From a business perspective I don't think that's such a stupid idea! When I was a kid, yeah, I would have been against the idea. You see yourself as different, like, 'I'm not like them, I'm a certain type of artist'. But as you grow up and get wiser I realised I was being unfair, I don't think I was giving people the benefit of the doubt but that was because I was young and immature. I've noticed an increasing wave of young idol rappers trying to assert their artistry away from their groups, and it seems they're as frustrated as any underground artist trying to be taken seriously. Tasha: That's true. There's a flipside to it. There's people in it for the fame and there are those who just love and want to do music. (The latter) sign the contracts then realise there's a business and politics to it. It's like school where you divide everyone (into peer groups), then when you grow up you realise people aren't always in those groups because they want to be, you've put them there. I will say the people on the album aren't there because we want to sell more or get more recognition, we stand by them. Rap Mon is really good rapper, he's dope. Tasha, you're called the best female Korean rapper ever. Cheetah, who took part in the female MC talent show Unpretty Rapstar, said you were an obstacle for upcoming talent because they don't want to be merely categorised as “the next Yoon Mirae”. Tasha: I'd be lying if I said I wasn't flattered every time someone wrote it like that, it's a compliment to my music but at the same time I agree. At the risk of sounding cocky, but there will never be another Tasha. But in the same sentence I would say there will never be another Cheetah or any other female emcee who breaks out. Everyone wants to be their own artist, it's hard enough finding out who you are as an individual, let alone an artist, and trying to do both.